I am not big into celebrating St. Patrick's Day. Maybe it's because I'm not Irish... Who knows? :) This year I entered a St. Patty's Day 5K. It's coming up soon next Sunday and I will need to deck my self out in green. Although I am totally out of running practice, I am still excited to do this 5K with my some of my awesome coworkers! 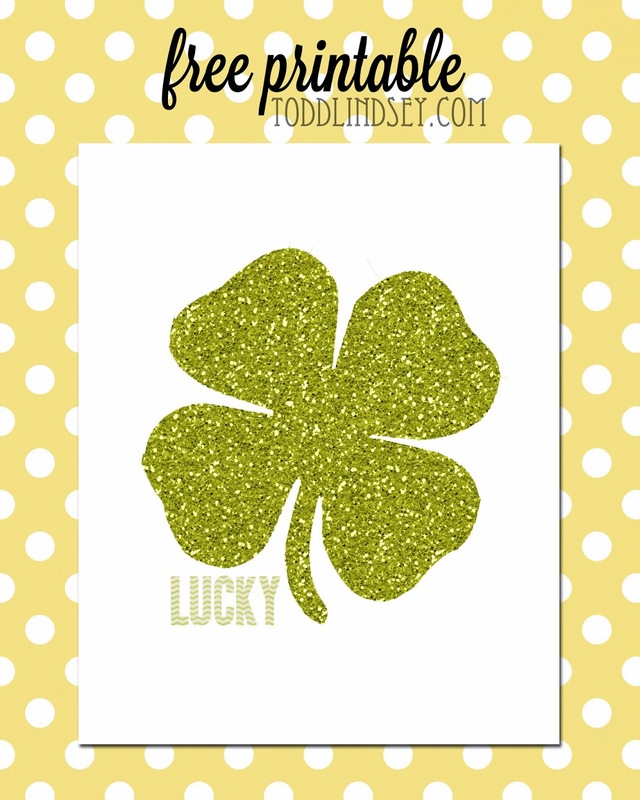 In honor of my first 5K of 2014 and for those of you that celebrate St. Patrick's Day, here is a free printable! You can access the printable here. Just download and print! The PDF is an 8x10 inch document. You can print it as a PDF at 100% or you can scale it down to fit a smaller frame. Enjoy! P.S. If you liked this printable, please check out my other ones here and here. That's an adorable printable! Thanks a bunch! And good luck on the 5K & have a great time too! It is a nice printable. Good luck with your run!